Andrew Mason, founder and CEO of Groupon, attends his company's IPO at Nasdaq, Friday, Nov. 4, 2011 in New York. Since Groupon went public last November for $20 a share, there have been concerns and speculations about the company’s success, and whether the decision to put out an IPO was premature. Groupon now faces added pressure as the company has adjusted fourth quarter financial results to show a greater than anticipated loss of $65 million, over $20 million more than previously stated. 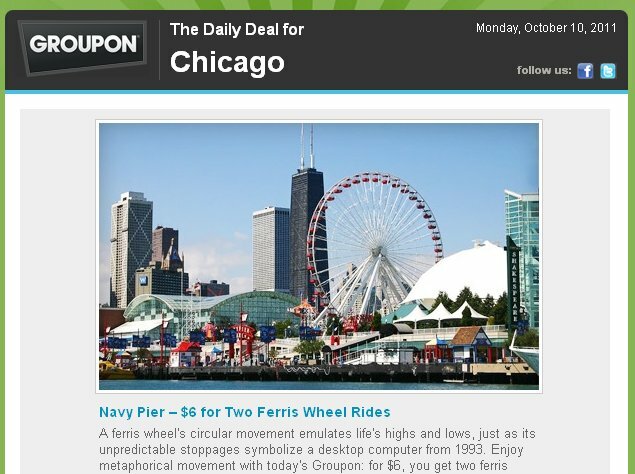 Can Groupon successfully chart the stormy waters of an IPO when the barrier to entry in the local deals market is so low? TimeOut Chicago editor-in-chief Frank Sennett is the author of the forthcoming book, Groupon’s Biggest Deal Ever: The Inside Story of How One Insane Gamble, Tons of Unbelievable Hype, and Millions of Wild Deals Made Billions for One. Sennett spent 2011 following Groupon, and has fascinating insight on what the company and its leaders must do to keep shareholders happy going forward. He of course spent time with Groupon CEO Andrew Mason to learn how he’s navigated the IPO, and how the media treats both Mason and the Groupon brand. Mason isn’t the only founder-turned-CEO to face challenges in the early years of a company’s growth. Noam Wasserman is a Harvard Business School professor and author of the new book, The Founder’s Dilemmas: Anticipating and Avoiding the Pitfalls That Can Sink a Startup. He also teaches a class by the same name at Harvard. Wasserman’s book and class provide guidance for founders about the most common problems they will encounter, incorporating his research and data collected over the past decade from 10,000 founders, case studies and conceptual frameworks. Frank Sennett and Noam Wasserman join Steve Edwards on the Afternoon Shift to discuss company leaders and the challenges and triumphs at the companies they founded.